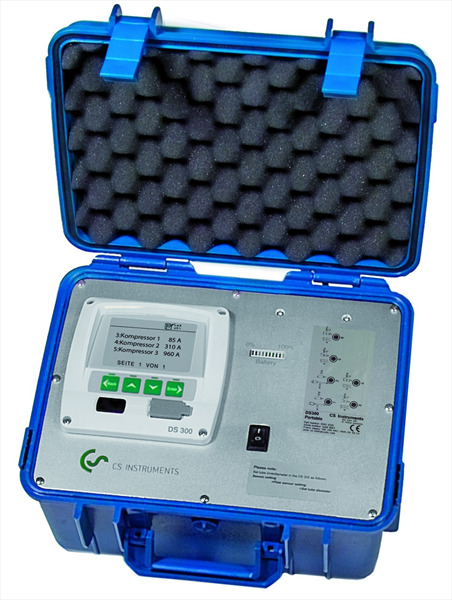 The measuring instrument DS 300 mobile enables the analysis of compressed air stations. Up to 4 clamp-on ammeters measure the current consumption of every single compressor. 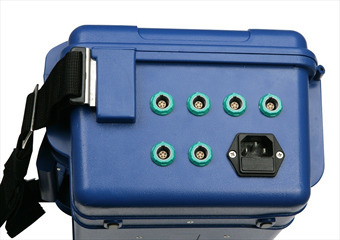 Optionally also 4 pressure sensors, temperature sensors or any other analogue sensors can be connected. 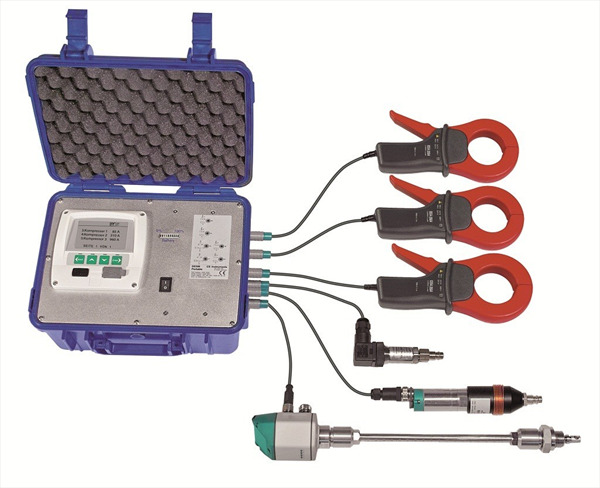 In addition, the DS 300 mobile measures the discharged compressed air in m³/h, m³ and the dew point temperature in °Ctd at the same time. The integrated data logger stores up to 1 million measured values. The CS analysis software enables the graphical and statistical evaluation of the stored data at the PC. From the stored current values it is possible to calculate the costs in € for the energy consumption (kWh) as well as the load and idle times of every single compressor including switch-on/switch-off cycles. For documentation of the measured values the user gets a DIN a4 graphic printout for each compressor in a day view and in a week view at the touch of a button.